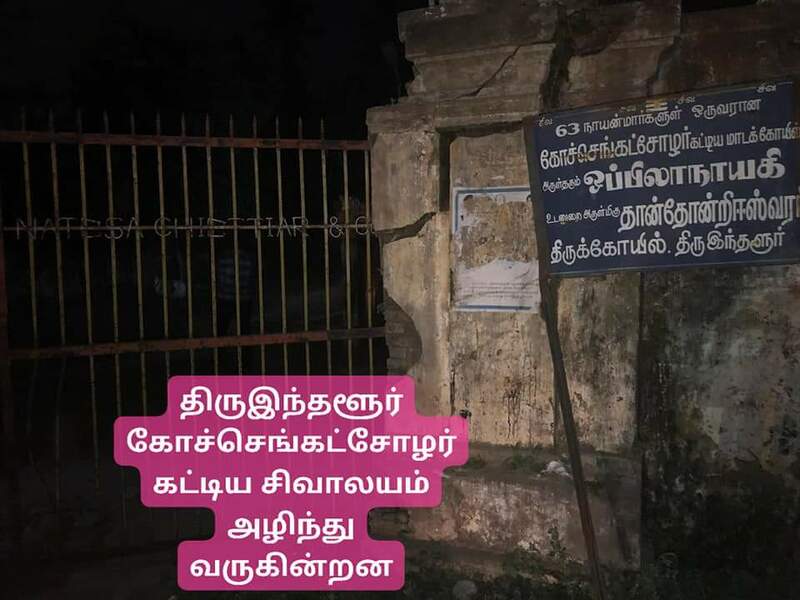 Thanks to Sri Sivaramakrishnan Balakrishnamoorthy for sharing this update recently. 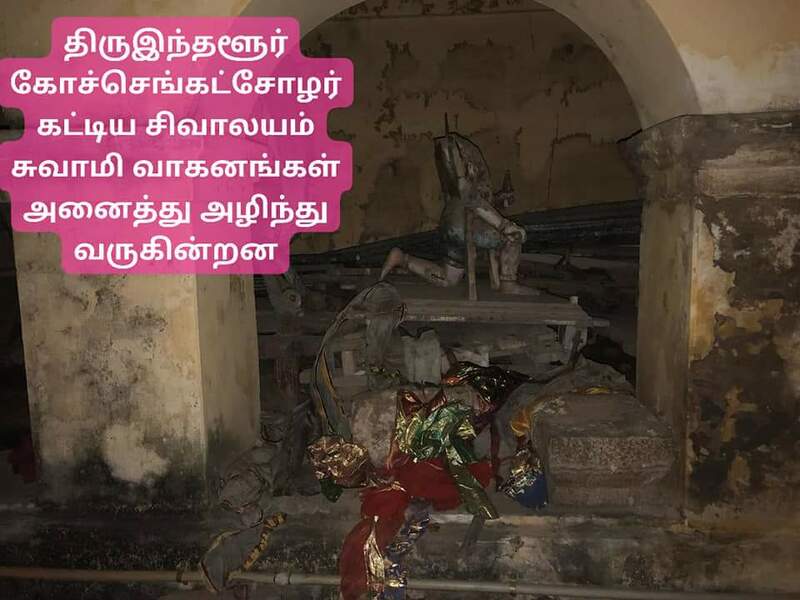 Honestly, hundreds of temples for are in this state only. 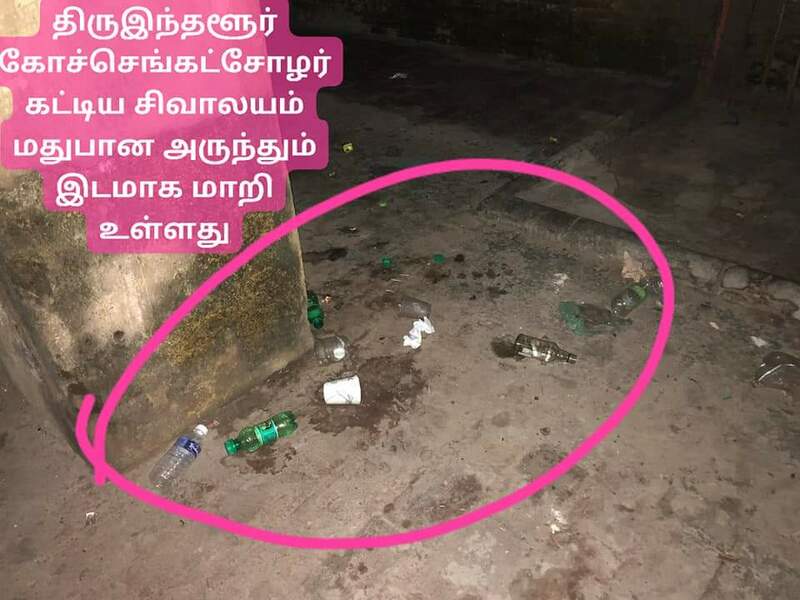 While posting here in this forum is good to create some awareness, the real action would be some local people taking the lead on this and see what we can do to fix this. 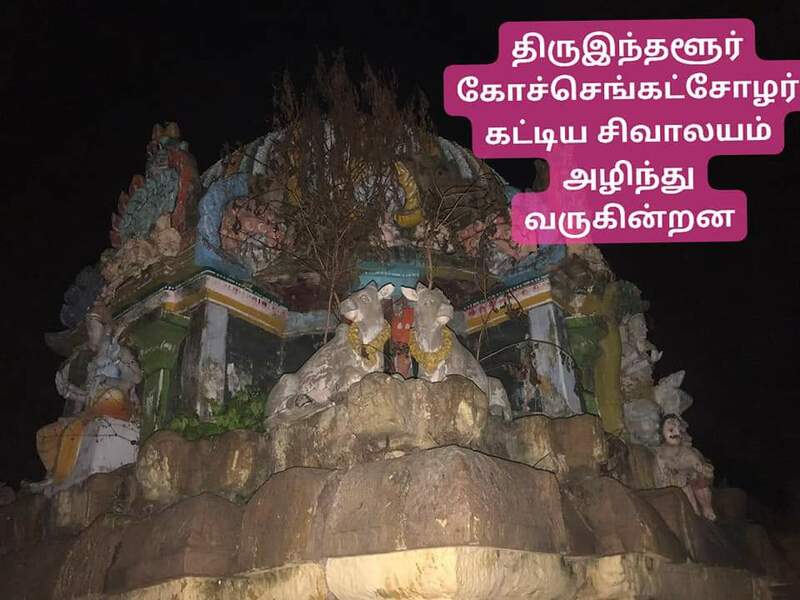 We don’t know if this is a HR&CE temple – if so, things would be even more messy. If not, it is fairly straightforward. 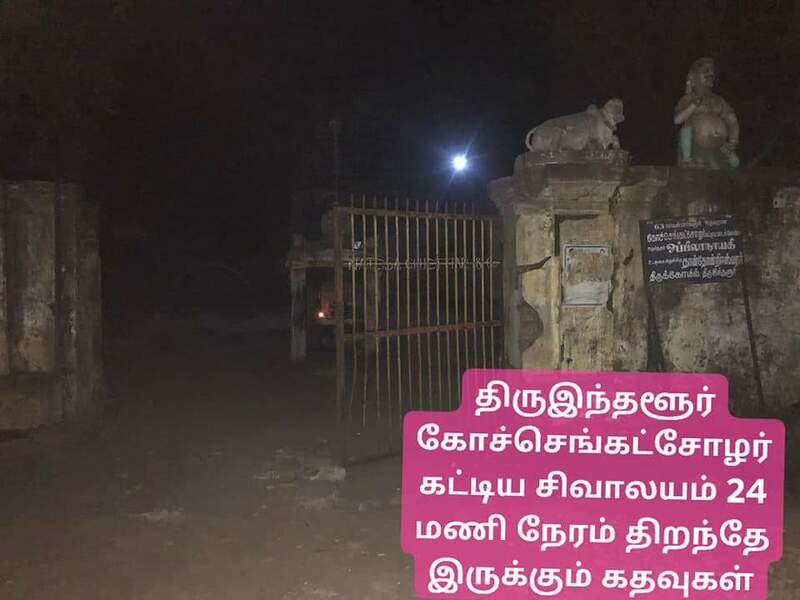 Before this temple is converted as a evening-hour-bar permanently, I hope Periyava sends someone local to this place to take the lead and make the change. 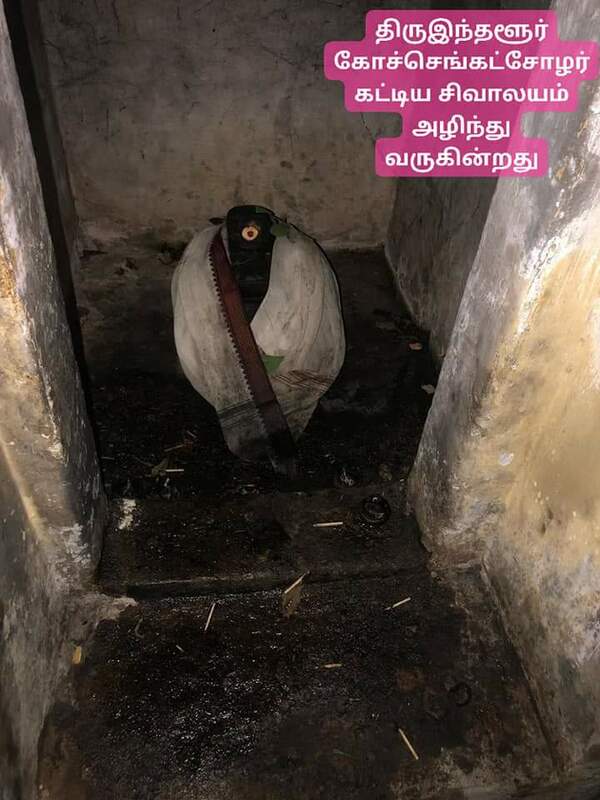 I think the photographs shown in this post belong to the temple in Thiruindalur Thanthondreeswarar Koil. 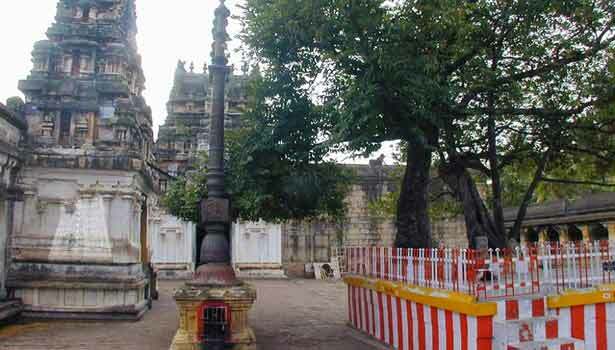 Whereas Uttavedheeswarar temple is in a place called Kuthalam near Mayiladuthurai. 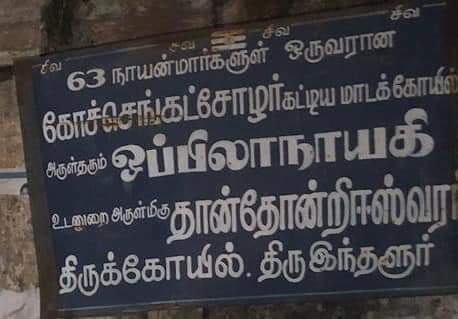 If you notice, the Swami Name of Uttavedheeswarar temple is Uttavedheeswarar or Uktha Vedeswarar and Ambal name is Arumpanna Vanamulai Nayagi which is in Kuthalam. 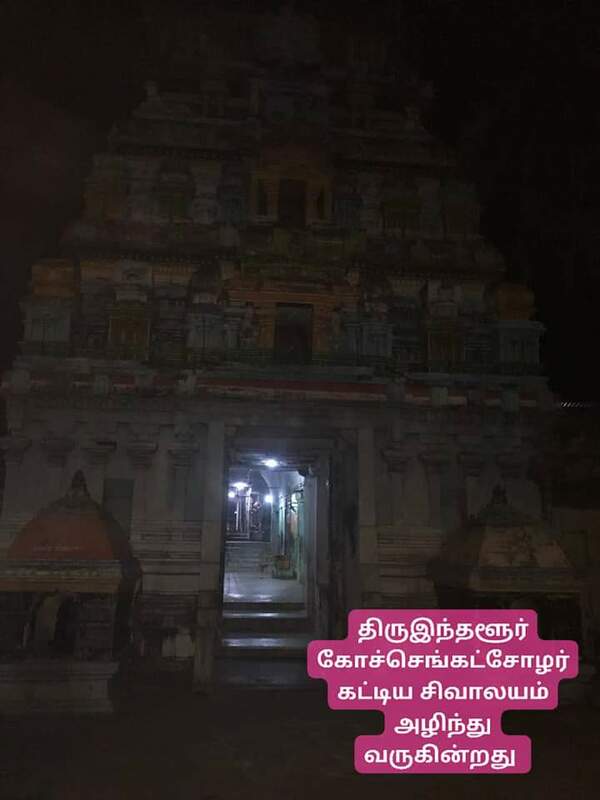 The photo also shows that Thanthondreeswarar temple is built by Kotchengachozan who is one of 63 Nayanmars and also the Adiyar who built the famous Thiruvanaika temple. 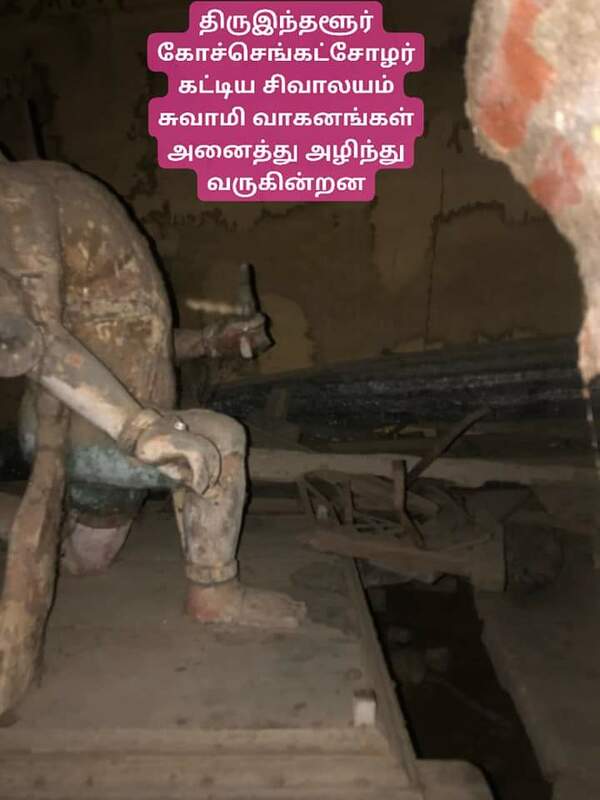 Mahaperiyava should bless us to get involved in renovation and Kumbabishekam of this temple very soon. Thanks for the catch. I have no way of knowing this. When people request me to post something, they need to vet it out for accuracy. 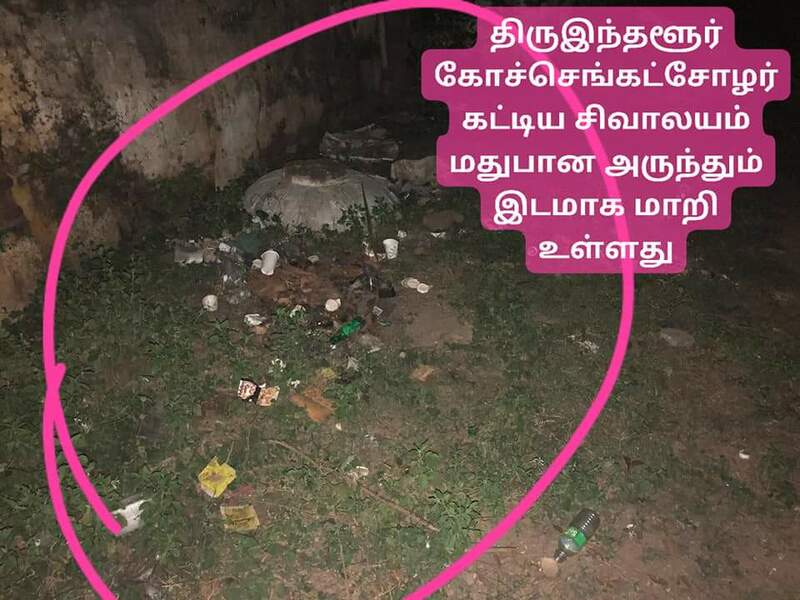 I will update the person who sent me this…..